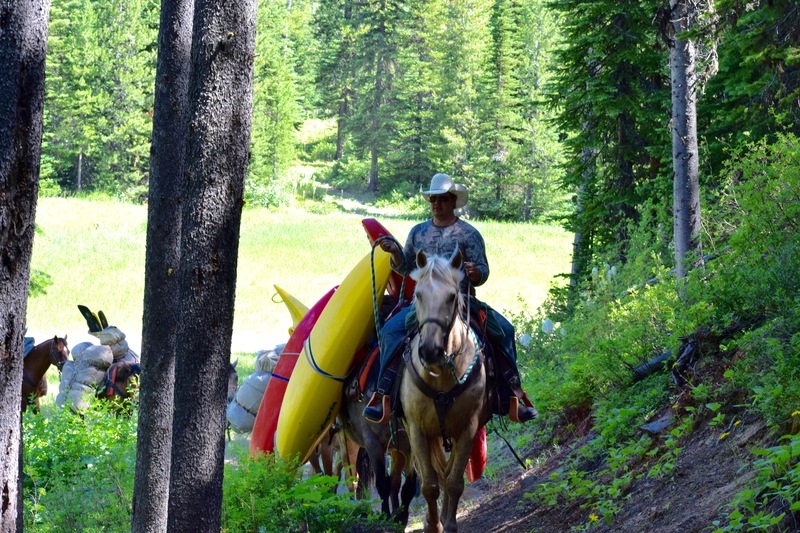 In addition to guided summer pack trips and fishing trips, Snowy Springs offers unguided drop camp packing services to the Middle Fork of the Flathead River. Snowy Springs will pack your fishing, rafting and camping gear into the Wilderness for you to camp, hike, fish and raft on your own. 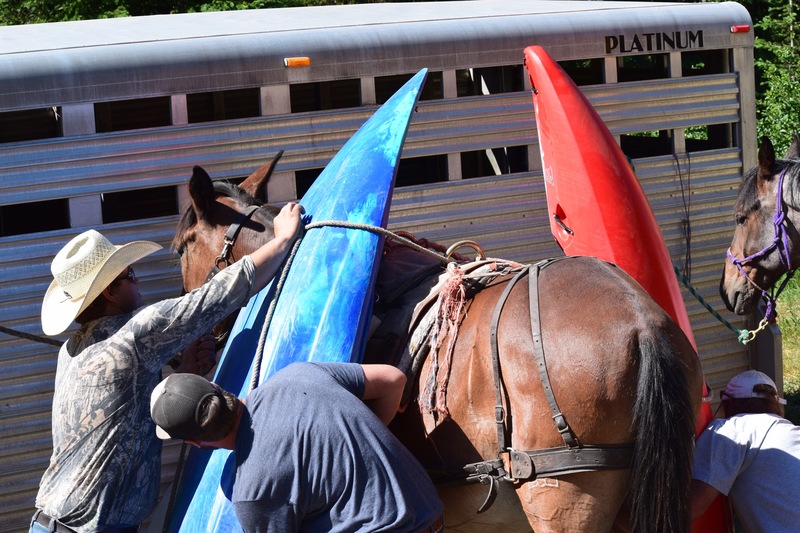 You may ride horseback along with us or hike in and meet your gear at the river. 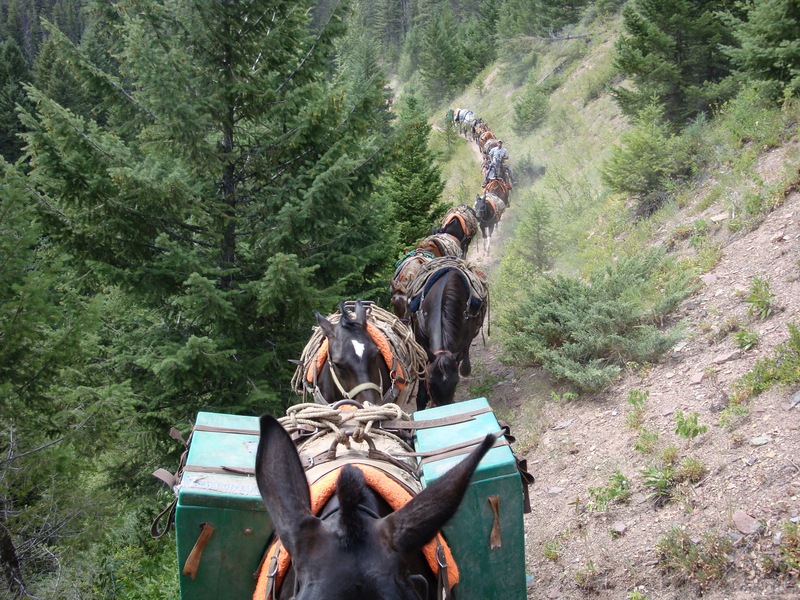 Drop camp packing services are a one-way service. If you need to be picked up, the cost will double. One guide will be added for up to 6 riding horses. 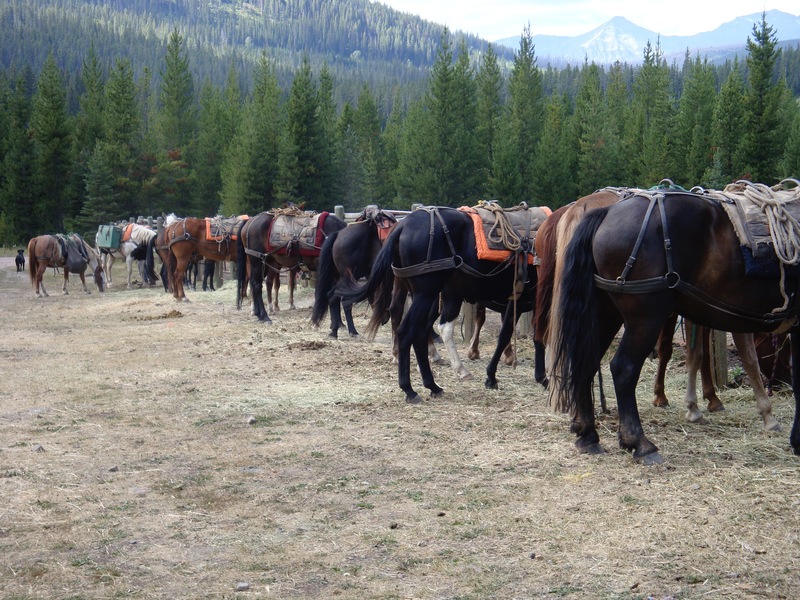 If more than 6 riding horses are required, an additional guide will be added (1 guide/6 riding horses). 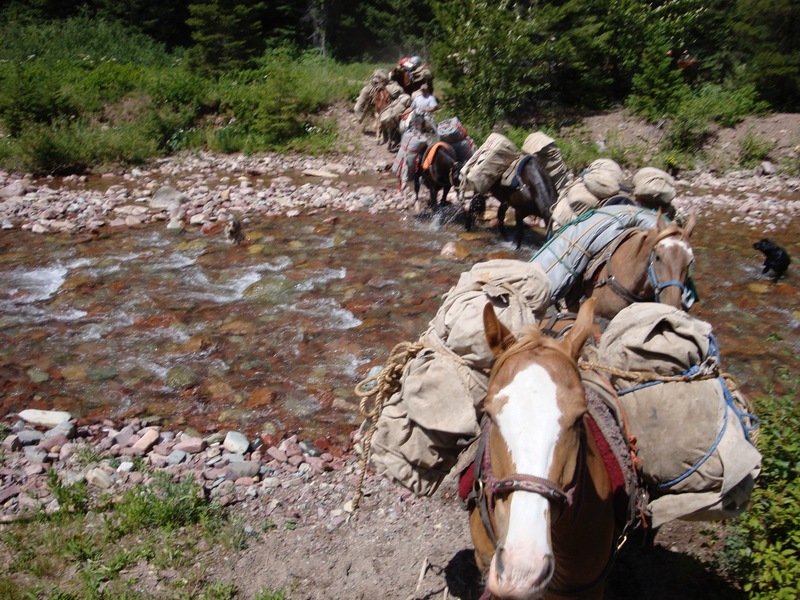 Each pack animal can carry no more than 75 pounds per side (total per animal is 150 pounds). If more than 6 pack animals are required, an additional packer will be added (1 packer/6 head of stock). 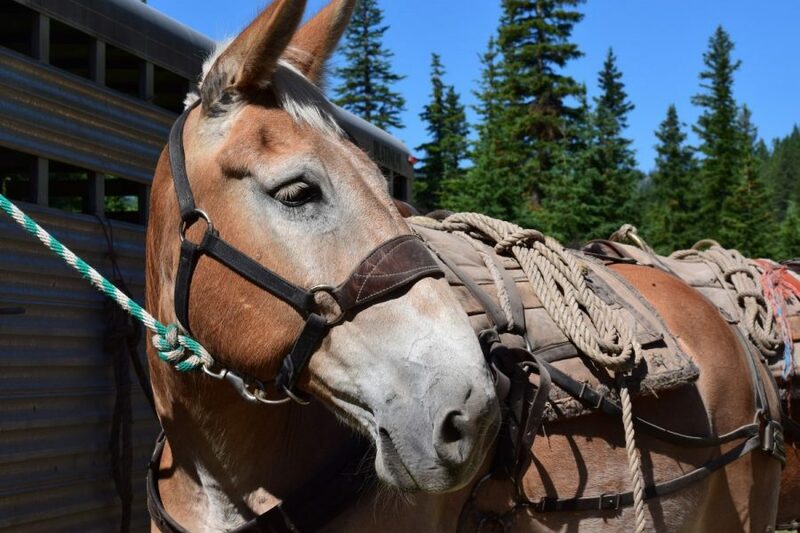 Rates are from Snowy Springs Base Camp to the Middle Fork of the Flathead. Meet at Base Camp the morning of your trip (7AM) or the evening before. You can also drop off your gear at Base Camp up to 2 days before your trip. Drop services are a one-way service. If you need to be picked up, the cost will double. A 50% deposit is required to hold your date. Vehicle storage and shuttles are available. If you need camping equipment, we have rental gear (sleeping bags, sleeping pads, cots, kitchens, tables, chairs, bear boxes, tents).